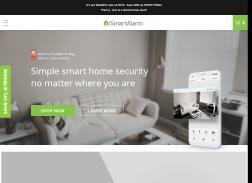 iSmartAlarm has designed and developed the best smartphone-enabled home security and home control system. 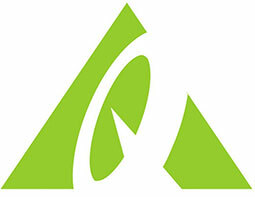 Their products are cool, simple to use, and affordable for everyone. Copy! Take 40% off exclusive packages. smart home security for any sized home, with no monthly fees or contracts. Get up to $115 Off iSmartAlarm Exclusive Packages. Limited time only. Get 50% off iSmartAlarm Smart Home Security Cameras. Annual Smart Home Security Camera Sale! Save 50% on all security cameras. Get 20% off your purchases. Save 50% on Spot – the Coolest Smart Home Security Camera…EVER! Get a Free emergency alert notifications when you add the HD iCamera Keep video camera to the smart home security. – Phone call, text message, app push notification, email; No monthly fees, No set-up costs, No contracts; Voice control with the iSmartAlarm Amazon Alexa Skill; IFTTT-compatible; Includes 1 CubeOne? (with 110 dB siren built-in), 2 Contact Sensors, 1 Motion Sensor, 1 HD iCamera KEEP Smart Home Security Camera, 2 Remote Tags, and 4 iSmartAlarm window decals. Get 15% off Your Order With Code. Get 20% off any order. Get 50% off iCamera KEEP and iCamera KEEP Pro. Get 20% Off all orders when you sign up for email. Valid for new customers. Get 10% Off all iSmartAlarm Packages(Preferred, Premium & Deluxe) & 10% Off iCamera KEEP HD Video Camera. Get $20 off Contact Sensor 2-Packs. Get Free emergency alert notifications – Phone call, text message, app push notification, and email;; No monthly fees, no setup costs, no contracts; Voice control with the iSmartAlarm Amazon Alexa Skill; IFTTT-compatible; Easy setup in minutes; Includes 1 CubeOne? (with 110 dB siren built-in), 1 Spot HD smart home video camera, 3 Contact Sensors, 1 Motion Sensor, 1 Remote Tag, and 4 iSmartAlarm window decals.